Home page News Assessing the biological and climatic factors affecting the productivity and resilience of trees. B4EST began in May 2018, and is a Horizon2020 EU funded project led by Dr Catherine Bastien from INRA in Orleans, France. The project aims to enhance the role of forests in Europe in providing for biodiversity, carbon storage, and the provision of renewable raw materials for the expanding bio-based economy, under climate change. B4EST will also identify new opportunities for wood and non-wood (e.g. nuts, seeds and fruits) products based on forest-based raw materials that could also stimulate the European bio-economy. The bio-based economy currently utilises 50-60% of the harvested wood from 161 million hectares of forest (38% of land area) in Europe. This forest industry and the European industries dependent on wood products represents 7% of the EU manufacturing GDP which together support 3.5 million jobs. Rapid climate change is a current cause of uncertainty in the sector and numerous studies predict impacts to European forest production that would have a knock-on impact on the industrial sector and jobs. The project is using eight study species to demonstrate novel techniques in the identification, assessment, and deployment of environmentally and genetically tested and improved trees that will be better suited to a future climate. The B4EST project study species are: Scots pine, Norway spruce, maritime pine, stone pine, Douglas-fir, eucalyptus, ash and poplar. All these species have high importance from an economic, ecological, and/or social perspective. 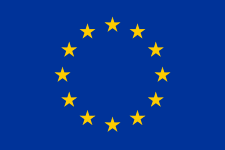 An important part of the project will be to use trials in Europe of trees of selected provenance (region of tree or seed origin) and/or progeny (descendancy) to identify and assess the combined resistance of trees to climatic and biological stresses, for example drought, heat, frost, pests and diseases. We’ll also be assessing how trees of selected progeny are better able to adapt to these stresses. How will we do this? We’ll be studying existing genetic trials in what are known as ‘common garden experiments’. 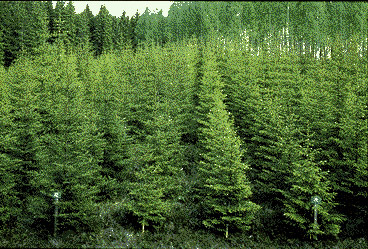 These are trials designed to test a range of genotypes – trees with the same genetic makeup. These could be trees of different provenances that have undergone natural selection, or trees of known progeny. In some cases the trials also test selected clonal material. Common garden experiments test all the selected trees across a range of environmental conditions. This enables us to measure important characteristics (‘traits’ such as height growth, timber straightness, disease resistance) to understand the different ways a genotype performs and responds to a range of environmental conditions (‘phenotypic’ variation). 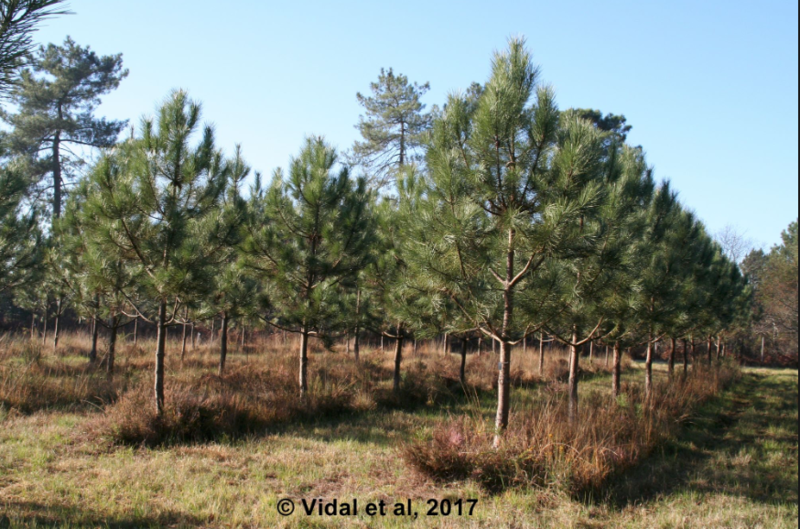 We aim to model several important responses simultaneously, combining measures of characteristics such as tree height, tree form, wood quality, disease/pest resistance and consider trade-offs between characteristics. The models will be used to predict how genotypes will perform in parts of Europe as our climate changes, and under pressures of certain pests and diseases. The genetic variation of tree material will be studied to understand and predict to what extent it is possible to control the tolerance of trees to climatic and biological disturbances through tree breeding. This will help define the suitable regions for future deployment of tree breeding material under climate change. The research described will be undertaken by B4EST’s Work Package 1 which is led by Forest Research in the UK, and involves fourteen partners: INRA (France), INIA (Spain), Skogforsk (Sweden), LUKE (Finland), EFI (Europe), SLU (Sweden), NERC-CEH (UK), WR (Netherlands), CIRAD (France), CREA (Italy), NIBIO (Norway ), UPS (France), ALTRI (Portugal).